It will help us plan supplies! Nyima and Phuntsok invite everyone for this FREE informational dinner. Machik is a non-profit organization founded by two Tibetan sisters. It started with a Primary school in Tibet in 2002, which went on to become a model school in Ganzi prefecture. From this Primary school, the work of Machik has expanded over the years - organized around six main areas: Education, Gender Empowerment, Art and Creativity, Civic Engagement, Youth Leadership, and Governance. This Global Dinner is a new initiative to spark a global conversation and to raise awareness of the wonderful works of Machik in building a brighter future for Tibet. 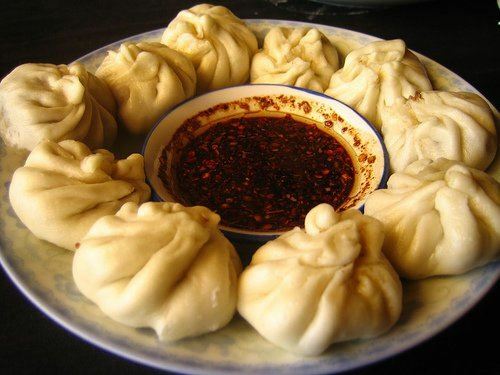 Enjoy Tibetan-themed food: Momos! A voluntary donation to Machik is most welcome. PLEASE REGISTER SO WE CAN PLAN FOR SUPPLIES!